Columbus, Ga. – March 7, 2018. 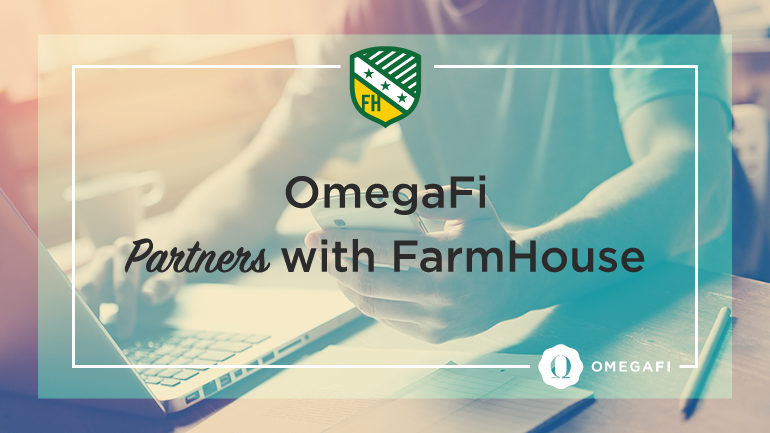 OmegaFi proudly announces a new Technology Partnership with FarmHouse Fraternity and the FarmHouse Foundation. FarmHouse will gain efficiencies with database and financial management that allow it to focus more resources on mission critical objectives of growth, chapter support and fundraising. FarmHouse chose OmegaFi for its industry-leading data, fundraising and national dues management tools, as well as OmegaFi’s high-touch customer service methodology. To achieve these goals, FarmHouse will convert its database to Compass and chapters will begin using Vault for chapter management. The systems are inherently integrated in real time. While Compass serves organizations at the headquarters level, Vault addresses the unique data and finance challenges of local chapters and house corporations, specifically, the billing and collection of dues and rent, payment of chapter and house corporation bills and management of rosters and other reports. FarmHouse is OmegaFi’s 20th Compass partner, joining, Acacia, Alpha Delta Phi, Alpha Gamma Delta, Alpha Kappa Lambda, Alpha Sigma Phi, Alpha Xi Delta, Chi Phi, Delta Chi, Kappa Alpha Order, Phi Delta Theta, Phi Iota Alpha, Pi Kappa Alpha, Sigma Alpha Epsilon, Sigma Alpha Mu, Sigma Pi, Sigma Tau Gamma, Theta Chi, Theta Xi and Zeta Beta Tau. FarmHouse Fraternity is a men’s agriculturally-related collegiate social fraternity founded in 1905 at the University of Missouri by seven men committed to building men through a four-fold development: intellectually, socially/morally, spiritually and physically. In its 112-year history, the fraternity has initiated 30,000 members and installed 50 chapters at major public research universities across North America. The Fraternity maintains a headquarters office in Kansas City, Mo. More information about the Fraternity, including its history, educational programming and life-long membership affiliation opportunities, is available online at www.farmhouse.org.